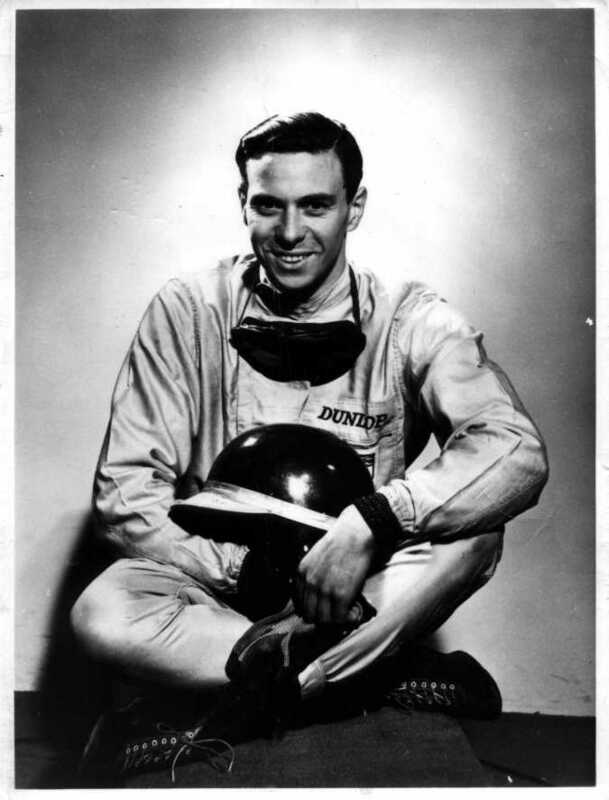 The great man himself, Anthony Colin Bruce Chapman, 1926 to 1982.
. . . and the great driver, Jim Clark whose competition career was so trajically cut short on April 7th. 1968 at Hockenheim. 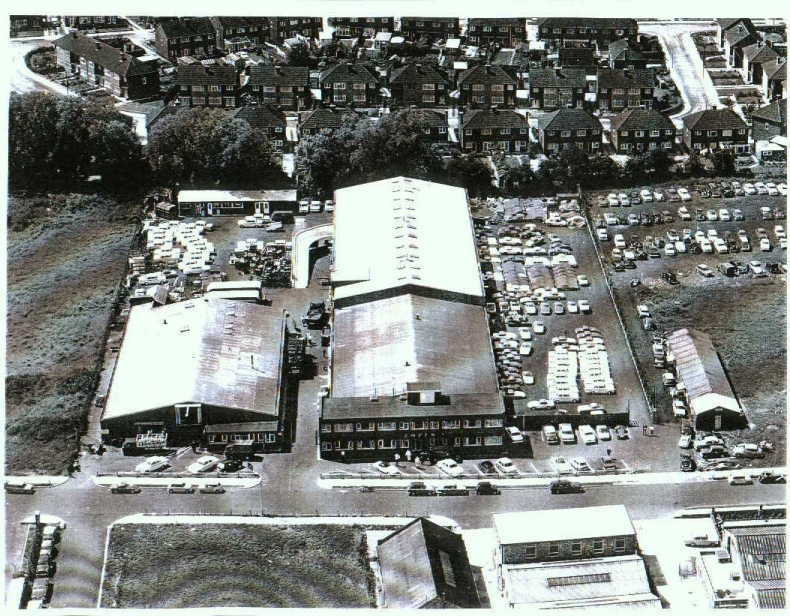 An aerial photograph of the Cheshunt factory taken by A. N. E. Bates on the 15th. of July 1964. The building on the left was where the cars that won the World F1 championships in 1963 and 1965 were made. The loft space above was where the Sevens were made. Every Seven was hoisted up as a bare chassis and down as a complete car using the crane jib that is clearly visible on the front elevation. 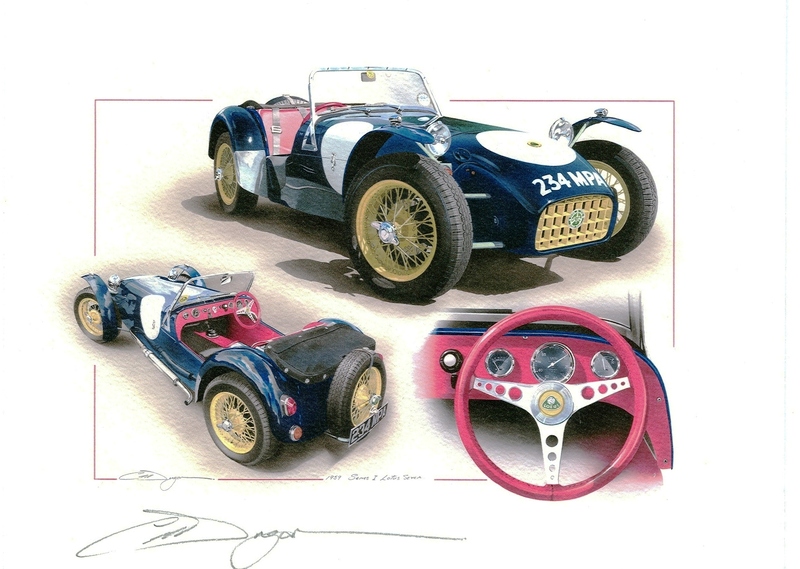 CLASSIC MOTOR ART - Paintings, Drawings, Illustrations, Commissions and Fine Art Prints by Christopher Dugan of 4, The Drive, Havant, Hampshire, PO9 2BY. Tel: +44 (0)1705-479467. 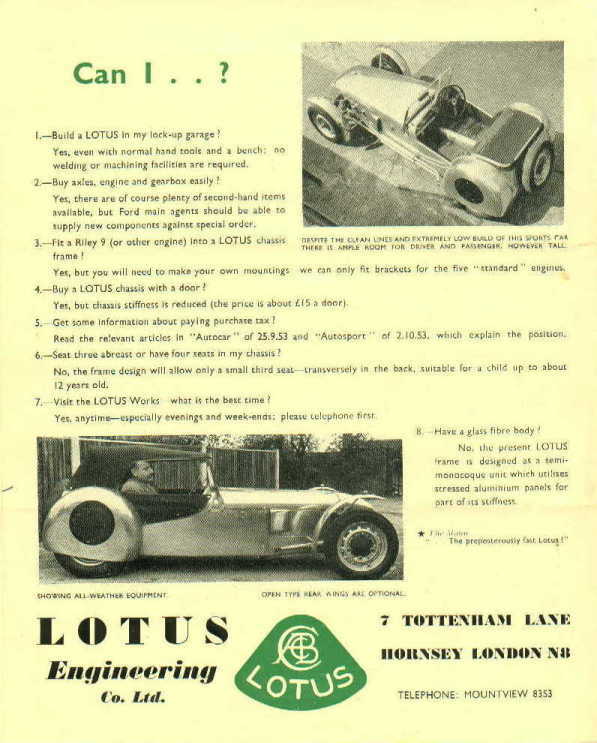 A 1954 brochure for the Mark VI, Lotuses first production car. The reverse of the above with the 7, Tottenham Road, Hornsey address and some amusing points. 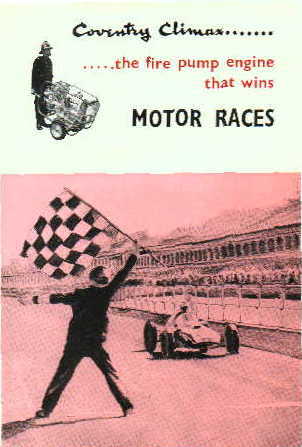 A 1955 brochure for the Mark IX. 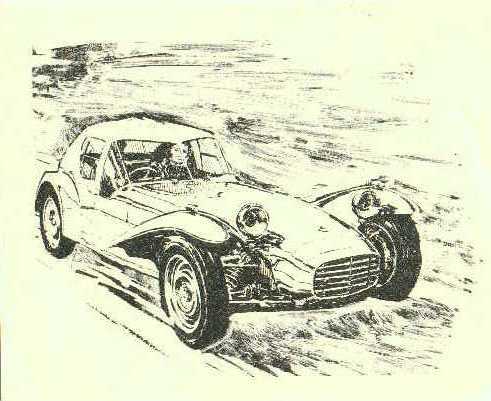 A brochure for the 'Seven GT' gullwing hardtop by Fibrepair Ltd. With this the Seven was eligible to enter GT races..
Two original numbered Club Lotus car badges of the type that was first issued in March 1956. 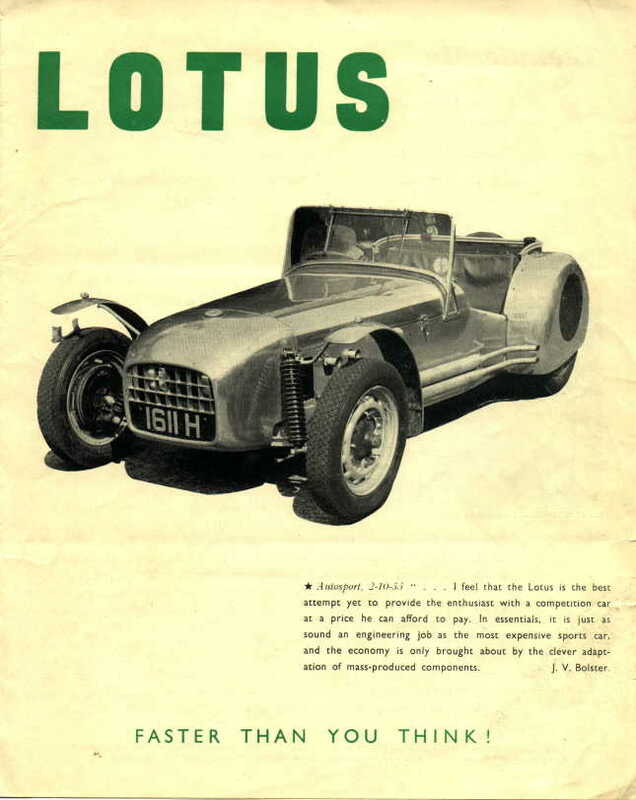 (See Club Lotus magazine Volume 1 Number 1.) One was issued to 'Founder Member 9' whilst the other is later being '319'. These are now rare and being replicated. 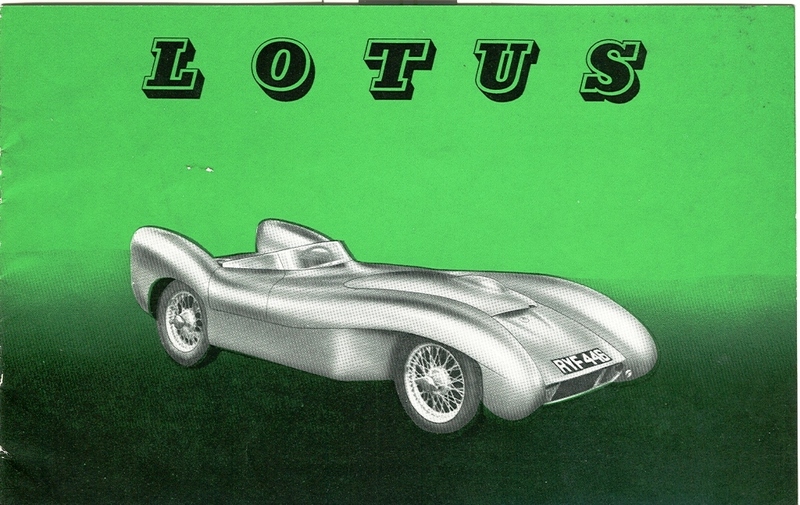 Rare alternative design for Club Lotus car badge. Probably rejected by Colin Chapman as it featured the 'ACBC' monogram which he closely guarded. The delicately 'bellied' shape of the badge suggests that it may have been hand made and therefore unique. 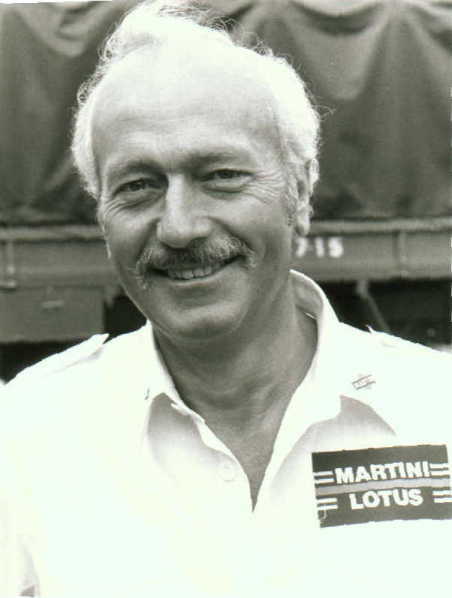 An example of an early Lotus nose badge which made by a different process to later examples. Much later the letters had serifs. An embroidered Lotus cloth badge by Alexander, the car accessory and tuning people of the 1960's. Red leather Lotus keyfob with Cheshunt address and Waltham Cross telephone number. Circa 1960 to 1966. A Team Lotus stickpin from the 1960's when Lotus was first in Formula One.